A boost of strategy and creativity to break out of the mold. Bob’s Red Mill, legendary employee-owned miller of whole grains, offers a wide variety of fine products to a huge base of dedicated consumers. But when Bob’s entered the highly competitive nutritional supplement market, it needed a boost of strategy and creativity to help its new products break out of the mold. A smooth entrance into a new market takes more than a good idea. It takes the perfect blend of strategy and creativity to drive product awareness. We started with a strategy centered around a dynamic, engaging, and educational campaign that would bring the Bob’s Red Mill nutritional supplement products to life. And our creative checklist grew from there: an interactive microsite, original video content, relevant partnerships, and targeted media relations. If you want to influence a consumer’s purchasing decision, bring in a key influencer who speaks their language. 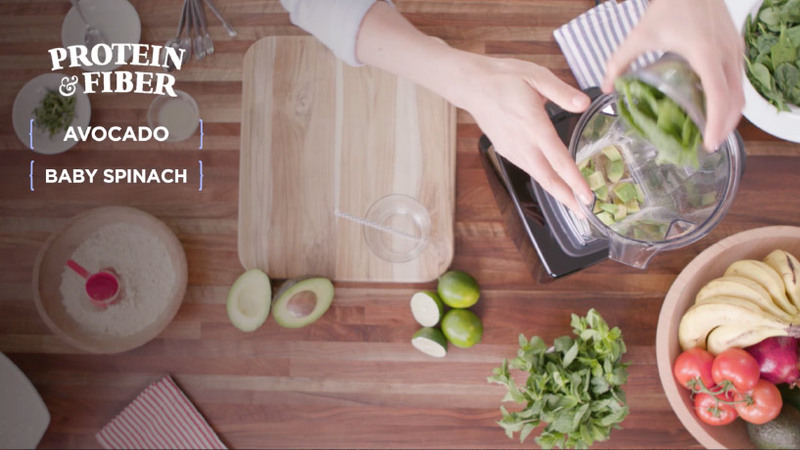 That’s what we did when we created our Smoothie Matchmaker website. Superfood chef Julie Morris developed a diverse suite of recipes using the new nutritional supplements, and we produced high-quality videos featuring a simple step-by-step run-through of the delicious recipes. 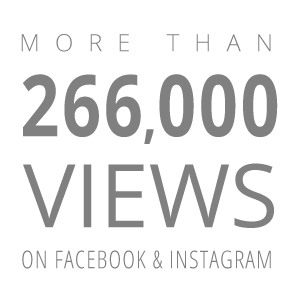 We rounded out our campaign with social media engagements and a powerful partnership with Yoga Journal to raise additional awareness of the campaign and products. When super foods meet a super-strategic creative campaign, anything is possible. 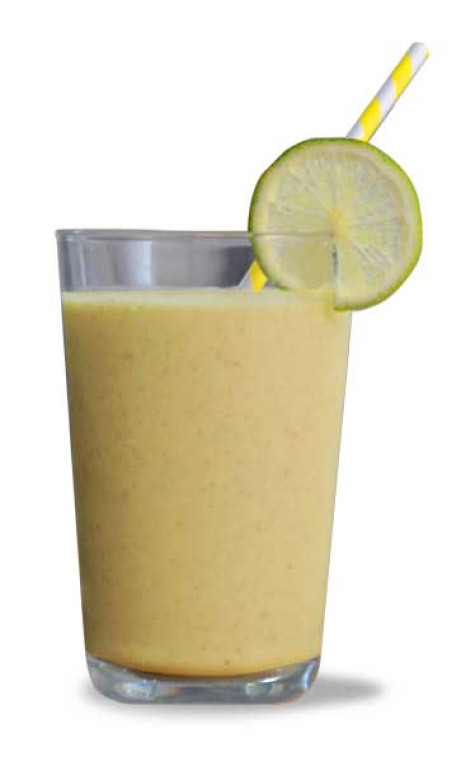 Our Smoothie Matchmaker website helped Bob’s Red Mill effectively introduce their Nutritional Boosters into the market. 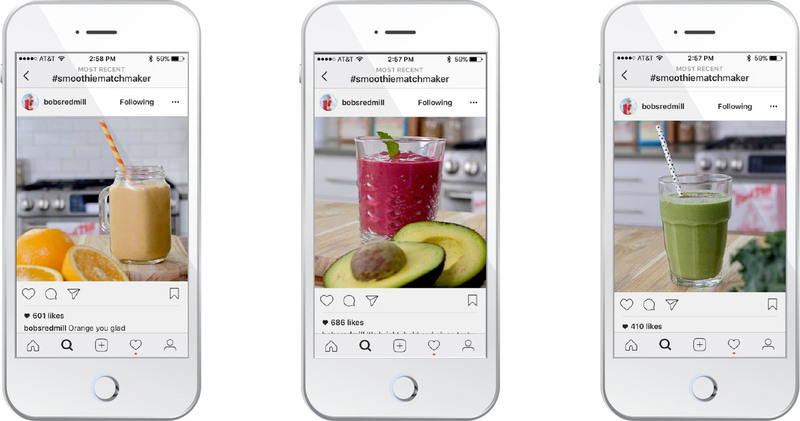 Within a few months, the recipe videos cross-shared on Facebook and Instagram received more than 266,000 views just on those platforms. And during that time, we generated more than 3 million impressions from our media relations efforts.